The DFR, one of the “highest hazards” in the UK civil nuclear industry, is being dismantled. 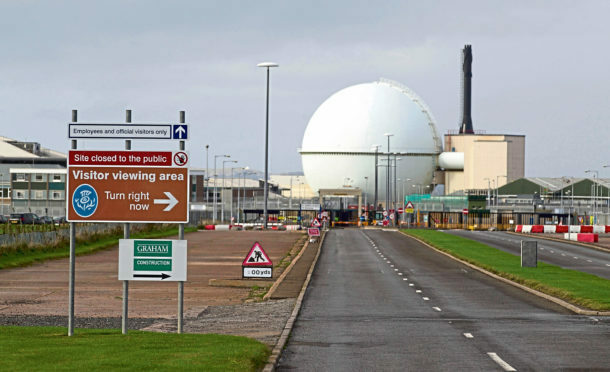 Northern Irish civil engineering company Graham Group has been awarded a £22 million contract to build an extension to a radioactive waste store at Dounreay. Around 100 workers are expected to be involved in the construction project at the former nuclear fast reactor research and development site, near Thurso, in Caithness. The work, which will see Dounreay’s existing above-ground intermediate-level waste store extended, is expected to start this month and take three years to complete. The store holds waste processed and packaged as part of the multi-million pound decommissioning and clean-up of the site.